Condo sellers in downtown San Diego have enjoyed very favorable market conditions since around 2015. Bidding wars and rising home prices have been important factors in the extended sellers’ market, and regional economic conditions are at some of their most prosperous levels in history, but something that was bound to happen started emerging in the final quarter of 2018: the market started cooling, and bidding wars weren’t as lively as they had been. Buyers aren’t showing the same urgency as they did earlier in the year, and a few sellers have decided to lower their listing prices. While the downtown San Diego condo market hasn’t turned against sellers, there’s a greater need to make listings more attractive to prospective buyers. Real estate agents will continue to do their part by reminding their clients that condos tend to be more affordable, particularly regarding maintenance. It’s up to sellers to apply the following strategies and make their listings stand out in the market. 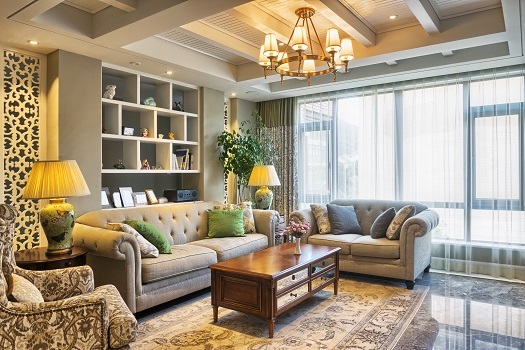 Reduced square footage is one of the aspects of condominium living prospective buyers tend to feel apprehensive about, and this is something sellers must keep in mind before they start showing their properties. Staging is a collection of techniques that can be used to make real estate listings not only more attractive but also more interesting to certain buyers. Staging for space is ideal for attracting all prospects, and it involves scaling things down, eliminating clutter, replacing large furniture with small and stylish pieces, providing lots of illumination, and highlighting balconies or terraces when available. Motivating bidders and attracting potential buyers with deep pockets is also a matter of styling. The goal is to make a listing look like it could be on the cover of Architectural Digest. Some real estate professionals work with interior designers and professional photographers on elaborate staging projects. Staging for style may involve additional costs and a greater effort on the part of the listing agent, but it tends to be very effective. Many condo buyers are amenity hunters who look for state-of-the-art fitness centers, rooftop swimming pools with fire pits, wine cellars, luxurious lounges, reading rooms with broadband Wi-Fi networks, concierge service, and spectacular views. Showcasing amenities is a proven strategy used by developers of condominium towers, and it can certainly work for individual unit sellers. Listing a condo unit far below market price can make it very attractive, but that doesn’t mean you have to sell at such low prices. Competitive pricing can be strategic. Bidding wars usually start when sellers flock to a listing priced just below comparable offers, and those listings end up selling higher by the time they reach the closing table. Offering to help with closing costs or even paying the first year of homeowners association fees is another technique to sweeten the deal. It’s always a good idea to make your condo as attractive to buyers as possible, and that’s even more true in a changing market. One of the best moves you can make is to work with real estate agents who have years of experience in downtown San Diego real estate. The professionals at 92101 Urban Living know what San Diego condo buyers want and how to attract their attention. Call us today at 619-649-0368 to schedule an appointment.